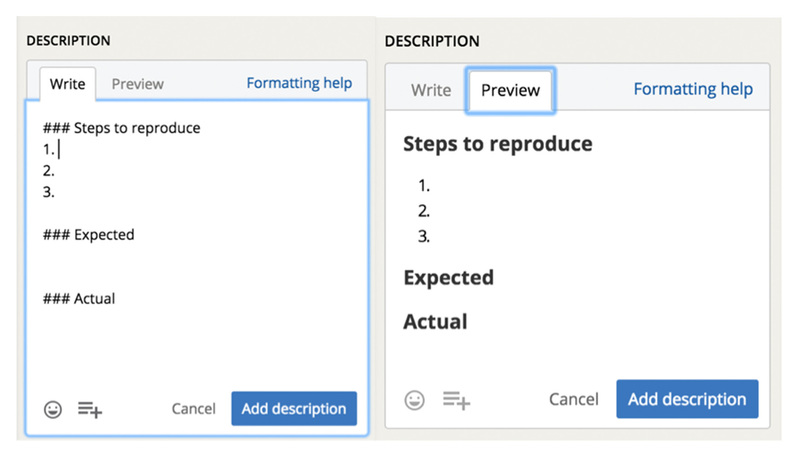 New Story Description Templates: Faster, Better, and More Consistent Story Descriptions! 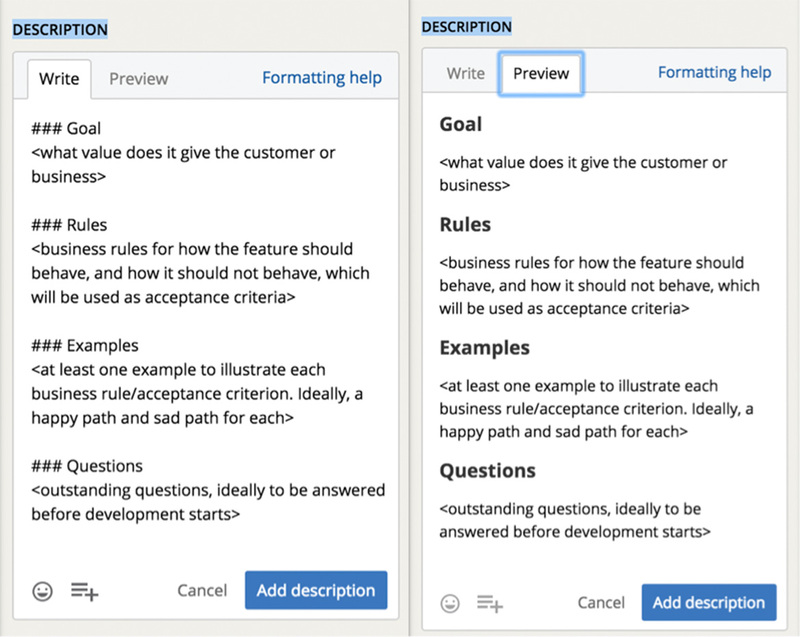 Many of us struggle to find just the right amount of detail to include in our user stories. There’s some happy medium between a one-line title with no description and a novella. When you need to add several stories for a new feature, or you’ve got several bugs to enter from your latest bug bash, you also want to save some time. Having templates to define various story criteria is an obvious solution. 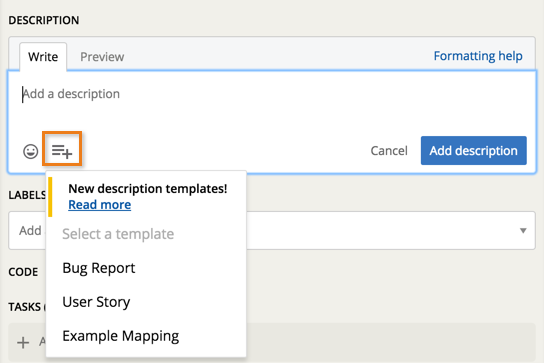 As a first step, Tracker now offers three of our favorite templates for story descriptions: Bug Report, User Story, and Example Mapping. You can select from a list by clicking on the description icon when adding or editing a description. Steps to reproduce a bug are always helpful! Choose the Bug Report template to speed up your bug reporting and help you provide enough information consistently. Now you can just fill out the steps and results. Note that you can click the Preview tab to see how the Markdown in the template will look. 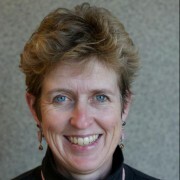 As described in Principles of Effective Story Writing, a common template used at Pivotal helps the team focus on the purpose of the story and the value it will deliver for customers. It also uses the Given/When/Then format to specify high-level acceptance criteria. Note the syntax highlighting for your Gherkin scenarios. Our own Tracker team often uses the example mapping framework from Matt Wynne to help us build a shared understanding of what the story should deliver. Our three amigos (we usually add a designer as our fourth amigo) elicit business rules for the story, along with examples that illustrate the business rules and questions that still need to be answered. We’ve added the goal to our template, again to keep us focused on business value. This is just a first step in helping you add stories more easily—with the right amount of information—using templates. We plan on shaping this feature further based on your feedback. Please use the Provide Feedback widget under Help in any project or email us with your thoughts and ideas.